CHERRI AMOUR IS A NATIVE OF CHARLOTTE N.C. SHE’S BEEN SINGING ALL OF HER LIFE, STARTING IN THE CHURCH AND GIVING GOD THE HONOR FOR BLESSING HER WITH HER TALENTS. SHE LOVES ACTING AS WELL AS SINGING, BUT KNOWS HER TRUE CALLING IS IN VOCALS. SHE’S DONE SOME CABLE SHOWS HOSTING AND SINGING IN HER LOCAL TOWN. 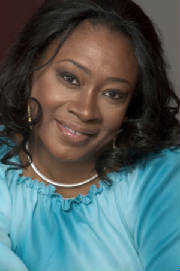 SHE’S TOURED WITH SEVERAL GOSPEL STAGE PLAYS “WHEN A WOMAN’S FED UP” AND “THE PORCH” JUST TO NAME A FEW. SHE HAS C/O PRODUCED A COUPLE OF PLAYS AS WELL. SHE SANG IN A COUPLE OF RADIO COMMERICAL SPOTS, ALSO A EXTRA IN A COUPLE OF MOVIES. SHE HAS SUNG THE ‘NATIONAL ANTHEM’ FOR BASKETBALL TOURNAMENTS. CHERRI HAS TRAVELED WITH SEVERAL BANDS INCLUDING PREFORMING FOR A HOST OF BIRTHDAY PARTIES, WEDDINGS, ANNIVERSARIES AND CLUBS. CHERRI HAS OPENED FOR SHOWS LIKE “THE SOUTHERN SOUL FESTIVAL” IN GREENWOOD S. C. FOR TALENTS LIKE DENISE LASALL, THEODIS EALEY, ROY C. AND SHIRLEY BROWN. CHERRI’S DONE AFTER PARTIES FOR NAMES LIKE “THE CHILITES”, “THE DELFONICS”, “THE STYLISTICS AND JONATHON BURTON. CHERRI AMOUR HAS A SASSY SOUL SOUND THAT ALWAYS PLEASES. SHE’S A DOWN TO EARTH PERSON LOVING AND GIVING. IN HER SPARE TIME SHE ENJOYS WRITING, SEWING, CROCHETING AND SEEK-N-FIND PUZZLES. CHERRI IS CURRENTLY IN THE STUDIO WORKIN ON HER NEW CD TO BE RELEASED SOON.